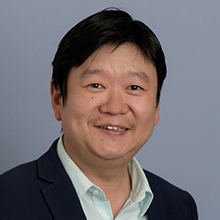 Dr Frank Jiang is a Senior Lecturer and Cyber Security researcher at Deakin University. He received his PhD at the University of Technology Sydney (UTS) in 2008 and was awarded the prestigious Vice-chancellor Postdoctoral Fellowship at University of New South Wales (UNSW) for his postdoctoral research in 2011. Frank has been working across a range of areas including IoT device to device security, VANETs, biologically inspired learning schemes and their applications in the context-aware systems, data-driven cyber security, predictive analytics and blockchain techniques via machine learning and AI techniques. Frank has a deep understanding of business requirements and pressures, governance and risk management and worked with a number of organisations in Sydney including government agencies and business corporations.